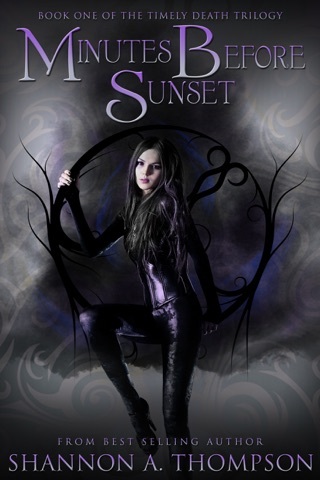 An Ember in the Ashes meets Red Queen in this action-packed dystopian fantasy series that has readers calling it “addictive” like The Hunger Games and Divergent. When Daniel and Serena unite, their accidental relationship becomes the catalyst for the twelve-year war in Vendona to continue. Exposing the twisted past of the corrupt city, Daniel, Serena, and everyone they know will come together to fight. When Serena is forced against her will to join the other side, she must find a way to work from within to save the people she loves. 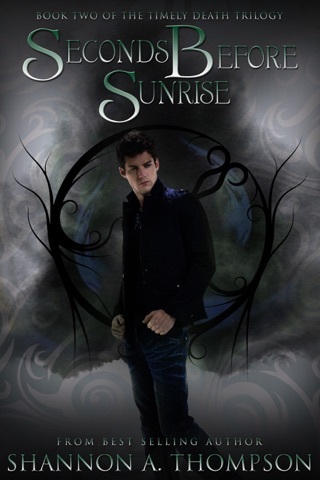 To survive apart from Serena, Daniel has to separate his love from his hatred and join forces with his worst enemy. Every Bad Blood will fight, but very few of them will survive to see the last day. Bad blood or human, a city will burn, snow will fall, and all will be united by catastrophic secrets and irrevocable tragedy. I did love this book but was so upset by how many died! I cried a lot and kept thinking that Floyd was going to appear with Blake and Maggie. Wish it was longer! I couldn’t get enough. There are times when I read a sequel and I find it a tad predictable; however, this sequel has some incredible and unpredictable twists and turns. For instance, after reading the first book in the series, November Rain, I thought that the antipathy between Robert and Daniel was caused by an ethical disagreement or some sort of Alpha male dynamic. I was wrong. Thompson reveals what happened between the two flock leaders in the past, and it is mind-blowing! Thompson's timing in this book is impeccable. I was at the point where I felt like I knew most of the characters and was drawn to a few of them, then the war takes a turn for the worst and some of those characters were killed. Heart-wrenching for sure, but it takes quite a bit of talent to create characters that readers are drawn to and then to time the loss of the characters in such a way that compels readers to continue reading to see what the outcome is. I found the political intrigue captivating, but not overly complex. It's a fine line to walk because an author must keep the target audience in mind while writing it. If it's too simple, it can come across as the author talking down to the target audience; too complex, and the book ends up boring the target audience. I thought Thompson did a fantastic job of keeping her target audience in mind. The political intrigue is complex, but it is explained in simple enough terms that her audience can relate to it. You'd think with a war being waged that there would be a lot of gore, but Thompson manages to convey the sheer number of lives lost and the gravity of the situation while omitting the gore. Don't get me wrong... It's a clean book, but Thompson demonstrates how "clean" doesn't always equate to rainbows, cute puppies, and happily-ever-afters by creating an urban novel that doesn't contain the explicit language and violence that the genre is known for. November Snow is a must-have for a clean teen/YA library. 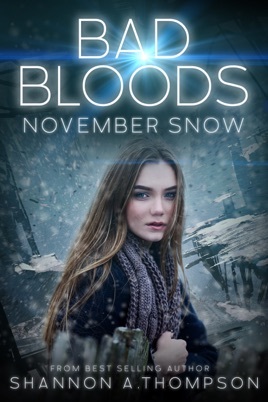 If you enjoyed books like The Hunger Games, Divergent, and The Mortal Instruments, I think you'll enjoy November Snow and the Bad Bloods series. November Snow is the thrilling sequel to November Rain. Picking up where November Rain left off, November Snow left me in tears at the end. 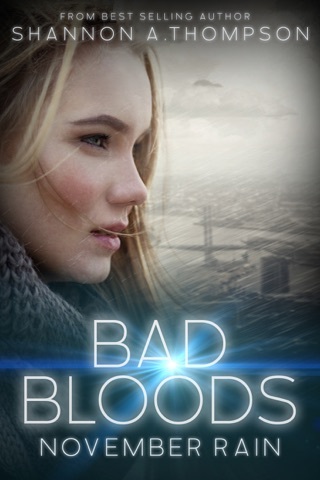 Filled with suspense, action, and unexpected twists, Bad Bloods is one of my favorite duologues this year. I enjoyed how actioned packed the second book was. I understood more of Vendona and the evils that has occupied the city for so long. Fear is really felt by the characters in the second book. The underlying secrets nearly tears everyone apart. 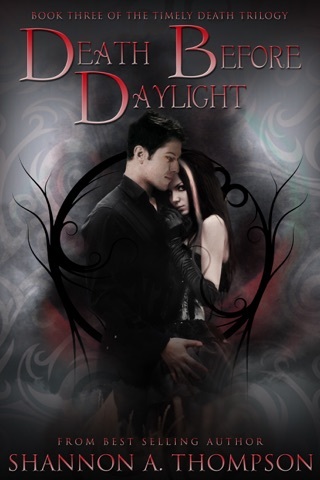 Even though there are a lot of characters involved in this duology, I was able to understand each character with ease. I could relate to each character, Serena the most. She sacrifices everything in order to save the ones she loves, her family. Her character development from beginning to end was amazing. I think this is my favorite book written by the author. My heart broke in the end but I loved every minute of this book. I loved the duo perspective between Serena and Daniel. I love books written in multiple perspectives. I strongly recommend this book to anyone. Each character is relatable. The emotions are strong felt. And you would want the same freedom as much as the characters do. 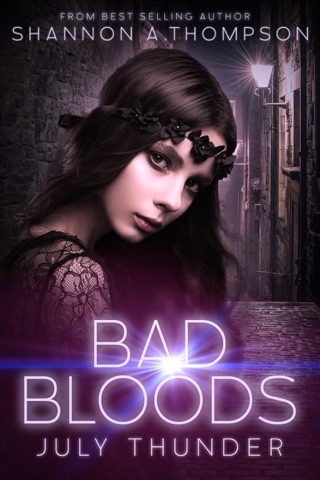 If you want to know more about each character in the Bad Bloods duology, Shannon A. Thompson has written a prequel on Wattpad that I strongly suggest you guys check out!